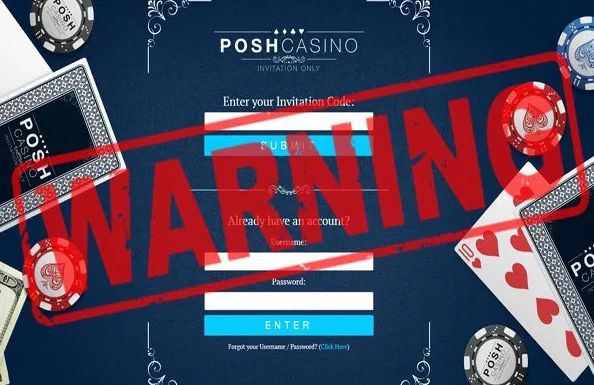 Posh is probably one of the most mysterious online casinos in the entire industry. Very little is actually known about the casino, unless you are one of the selected few which get to play there. The casino functions on an invite only system. You get an invite on your email and once you enter the details on their website you are allowed to continue and create your player account. This is what makes the casino mysterious and attractive to many players coming from the US. But even with its shrouded veil of mystery there are some facts we do know about Posh casino. They came online in 2017 and are powered by Realtime Gaming software. This is classic since RTG casinos allow players from the US to create an account and play for real money at the casino. 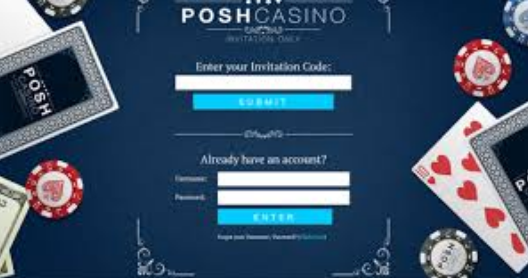 So if you are among the selected few to get an invite at Posh casino you can expect to see games like Crystal Waters, Count Spectacular, Aztec Treasure and many more RTG classics. When it comes to bonus promotions we do know that Posh casino has a very attractive no deposit sign up bonus. You will get a $500 free chip with a maximum cash out limit of $1,000. We have to say that this is a very attractive promo and is without a doubt the most generous no deposit bonus when it comes to RTG online casinos. The wager from the free chip is set at $10,000 for playing slots or $25,000 for playing table games. Like all other RTG casinos Posh doesn’t have any live dealer games available. We also know that they have a solid customer support. Players can contact the casino via live chat or email and they are usually fast to respond. Now the negative notes about Posh casino. They don’t have a valid operating license from any jurisdiction. This means that players are not protected in any way when it comes to foul play by the casino. This detail is sure to deter a big number of players. Another thing we know for sure is that they are slow on payouts. It takes 10 business days for your withdrawal to be approved and another 10 to 14 business days before the winnings are finally sent to your chosen payment method. After that it depends on your payment provider how fast they will process your payment. So the big question here is does Posh casino actually pay their players? Well, the public is quite divided in this matter. Many players complain about delayed payments, but in most cases we found positive responses that the winnings were paid out in full. So we can freely say that Posh casino does pay its players, but you can expect serious delays. So in the end it all depends on you whether you will play here for real money or not. That is if you do happen to get an invite from the casino. Make your own decision and good luck to you.